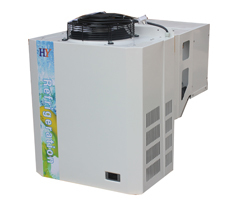 LYJ Series refrigerator, also called integrated machine for walk-in cooler, widely used for mini and small walk-in cooler for the temperature of -5℃~5℃, -15℃~-25℃, suitable for the fresh-keeping and cold storage requirement in hotels, restaurants, medicines, Agricultural and chemical industries etc. 1. 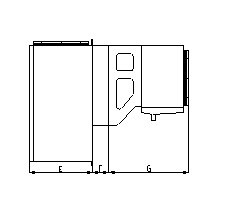 Compact structure with unique outlook, designed to integrate the evaporator, condenser, compressor,electric control etc. to reduce the installation room. 2. Danfoss Maneruop hermetic compressor, with good performance, low noise and high reliability. 3. Inner screw copper tube & aluminum fin heat exchanger, high efficiency of heat exchange. 5. Auto intelligent electric control, with the function of temperature set and control, and auto electric defrosting etc. 6. The units have multi-protection for overheat, overload, lack of phase, and system high & low pressure. 7. Fresh new installation mode, very convenient to install and use, which just need to put the units into the hole cut on the wall and connect the power. 8. 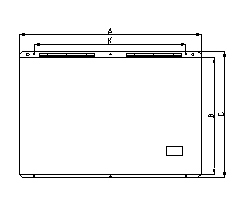 Specification can be checked in the PDF file.